Why a conference on preaching? I’ve been asked this question before. Is it really a good use of resources to bring in experts to talk about something that every pastor learned to do in seminary? Isn’t that what we fund those institutions to do? Shouldn’t the Convention be concerned with more practical matters? It’s a good question. We should always scrutinize what we do to ensure that it is the highest stewardship of the resources provided by Oklahoma Baptists. However, it raises an even bigger question. Is preaching an activity in which pastors are to demonstrate improvement? Is it reasonable to expect that preachers can and should be always striving to get better at their preaching? 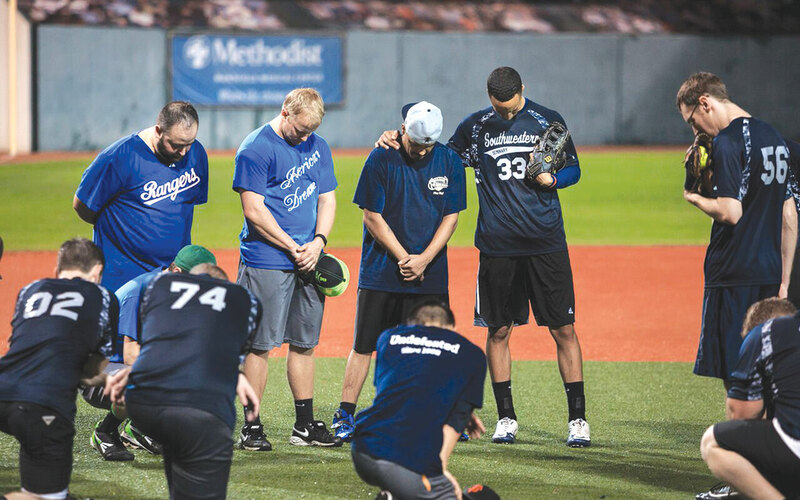 Once seminary-trained, does a preacher no longer need regular and on-going training, unlike professional baseball players who during every spring return for a dedicated time to work on the basics and fundamentals of their craft? In 1 Timothy 4, Paul writes to a young pastor named Timothy. His age is not relevant to the timelessness of the instruction. This is God’s mandate to every preacher. Timothy’s preaching and teaching ministry is in view here. He is to devote himself to it, and not neglect the exercise of his giftedness in this area. Paul’s imperative is for the young preacher to “practice” this ministry; the original Greek verb carries the idea of repetition, and even is used of a plot or conspiracy, something over which you would go repeatedly. The literal translation of “immerse yourself in them” is “be in them.” In Paul’s estimation, preaching and teaching God’s word to a congregation is not just something you do, but rather something that you are. It was to be at the very core of Timothy’s being. The result of this would be “progress” in Timothy’s ministry. We should not assume that Paul said this simply because Timothy was a younger man. Every pastor needs to be constantly getting better at his preaching. In a phone conversation recently, a colleague said to me, “Paul has no category for preachers who feel they have peaked.” It is not simply a matter that you can improve in your preaching, but also that God commands us to show our progress in this one vital task. This is why the Baptist General Convention of Oklahoma hosts the Priority of Preaching Conference each year: for the improvement of those of us who are called to the preaching ministry. It will be held this year Feb. 29-Mar. 1 at Oklahoma City, Southern Hills. The preaching lineup this year, as always, is strong. Bryan Chapell, author of the book Christ-Centered Preaching and pastor of Grace Presbyterian Church in Peoria, Ill. is back for a second time. Also doing a repeat performance is Jim Shaddix, author of The Passion-Driven Sermon and professor at Southeastern Seminary in Wake Forest, N.C. In addition, we are thrilled to have Juan Sanchez, pastor of Austin, Texas, High Pointe, and an instructor with the Charles Simeon Trust. Spending two days to obey God’s mandate for progress in preaching is an investment in your calling. Register for this important event at www.bgco.org/pop. The cost is $50. View more articles by Brett Selby.